AviTracks-TC offers complete functionality for managing patients in care transitions. With AviTracks-TC you can automate your entire care transition workflow - from enrolling the patient, documenting medications, tracking phone calls and other care coordination activities, to generating reports needed for billing purposes. 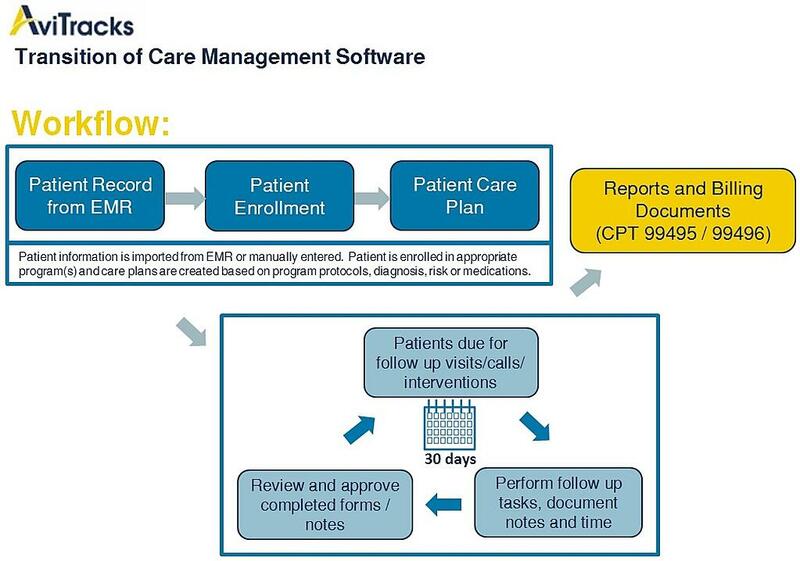 For providers participating in Medicare, this includes supporting documentation for CPT codes 99495 and 99496.